One of the major debates in English cultural, literary and religious history concerned whether or not the Bible should be translated into English. Underlying this was the question of whether people who were literate in English but not Latin should be able to read for themselves the book regarded as uniquely holy and authoritative. This debate took place c. 1380-1410, during and immediately after the composition of the first English (‘Wycliffite’) Bible. 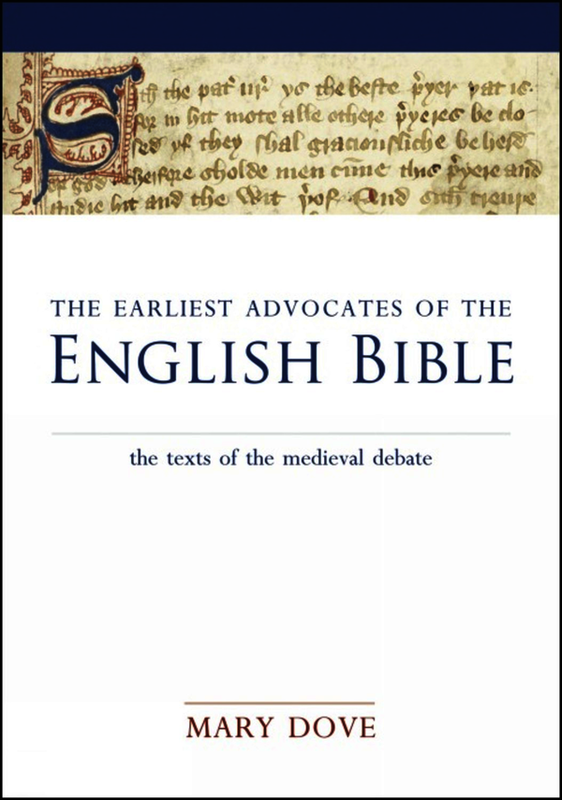 The Middle English texts edited in this book all argue on the same side of the debate, that is, that there should be a Bible in English, but they include arguments put forward on the other side, in order to refute them. This is an important body of texts that needs to be available in a convenient modern format. These materials are of fundamental significance for the English debate about translation of religious materials into the vernacular in the early fifteenth century. Il contributo di Mary Dove è di straodinario interesse, per l’accuratezza della documentazione e per l’ampiezza del contest studiato. For almost all these texts, Dove represents the first complete, published critical edition; moreover, the edition is exceptionally easy to use, with text, glosses and biblical references, and apparatus appearing side-by-side on each page. The texts are admirably edited. ... in the clarity of its presentation and a generous use of space, this is a most user-friendly volume (on the same lines as Exeter’s excellent The Idea of the Vernacular: An Anthology of Middle English Literary Theory 1280-1520, published in 1999). It is one of the most useful I have come across for some time—the sort that prompts the question, why has this not been done before? It should become an essential sourcebook for future work on the Bible in English in the fourteenth and fifteenth centuries and is a fitting tribute to a fine scholar, who died with so much more still to give.